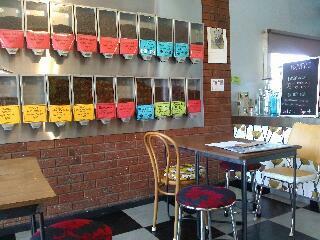 There is this cool coffee and tea place in Queen Victoria's Market, right? 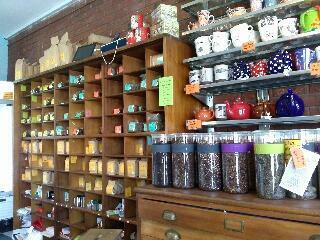 It's a corner of coffee/tea enthusiasts, with tons of different choices and accessories as well. Well, there's another one further out from the city centre. I always pass it on Sundays on my way to church, but they are closed on Sundays. The guy who served my coffee, somewhat apologetically since I had at first wanted iced tea but they had run out of ice, was kind enough to give me a discount. I've been ogling those wonderful blue and white teapots whenever I pass this place - I think I will have to buy some one day!